Hi ok so I have an emf scanner on my phone and it shows 3 axes, x y and z. A: What do those mean about the magnetic field? And also, B: why does the scanner drop down to near 5 or 1 µT (average is 40-50 µT) at random spots in the wall or ground? Magnetism Is something different (It is one of the components of the wave above) it comes from ordinary magnets , and from the earth , it pulls or pushes other magnets , it has no frequency .... it is static . Last edited by oz93666; Jul 6th 2018 at 10:09 PM. Wow.. does that mean my "EMF" scanner is actually an EMF scanner or a magnetic field detector? It senses normal magnetism as well (such as a magnet) and still has those XYZ points. "all the Apps listed above are gauss meter Apps – they are only designed to measure magnetic fields. But most people are interested in measuring EMF emissions from WIFI, cordless phones and other wireless devices...."
this comment was left ..."This is the dumbest article i’ve seen on your website, how can you measure EMF’s when your cell phone is on. Every app is a gimmick that comes out. This article is discrediting your work and reputation...."
I suspect the manufacturers know people are wanting an EMF meter to measure radiation from cell towers etc , so have wrongly marketed a gauss apt an EMF apt . So what you have is a gauss meter that will measure magnetic fields , give you their strength and orientation , and perhaps any changes in them . EMF also stands for "Electro-motive force", which has units of Volts. Most modern phones have a Hall probe which relates the orientation of your phone and a measured EMF (actually, it's the current induced by the EMF that is measured) to a magnetic field. It can be used to measure the magnetic field strength if the orientation is known and the EMF is measured or, if using the Earth's natural magnetic field and the measured EMF, it can be used to determine the orientation of the phone. 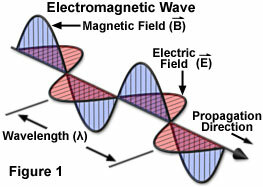 Magnetic fields are attenuated by dielectric media, such as brick walls. However, there's also steel beams that can help propagate them, so you'll find that the field will be distributed unevenly throughout a building.